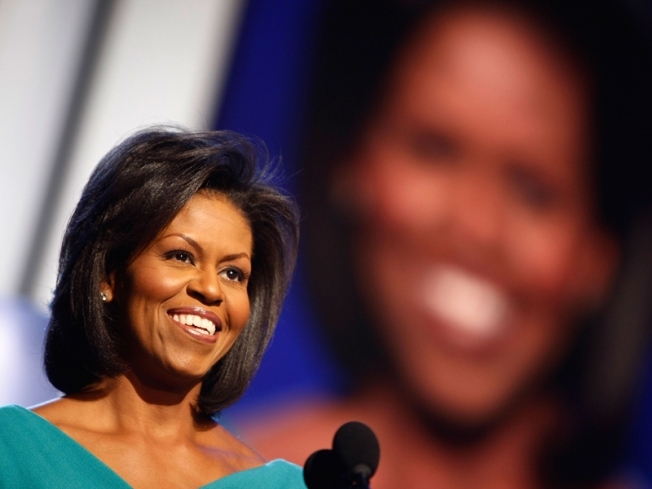 Who Will Do Michelle Obama's 'Do? Hairdressers are arming themselves with blow dryers and scissors for the battle to do Michelle Obama's 'do. WASHINGTON -- Hair salon owner Barry Fletcher sent Michelle Obama a 17-minute DVD about himself. Hairdresser Keith Harley uploaded his resume to President-elect Barack Obama's Web site. And salon owner Nicole Cober-Blake plans to get her name in by sending a welcome basket with bath gels, hair products and a robe. There are plenty of unanswered questions buzzing around the Obamas' impending arrival, but one has hairdressers on the edge of their styling chairs: Who will be chosen to do Michelle Obama's hair? Rather than venture out for hair appointments, the first lady typically invites beauticians to the White House. Some of the region's black salon owners hope their experience with African-American hair could give them an edge over those who coifed the likes of Laura Bush or Hillary Clinton. Fletcher, the 52-year-old owner of The Hair Palace Salon in Mitchellville, Md., cites his experience in international hairstyling challenges and working with actress Halle Berry and singer Mya, a D.C. native. "I'm going to be doing her hair!" Fletcher said, if he has anything to say about it. "This would pretty much validate all of my hard work and effort to get to a level where I could handle a powerful queen like the first lady." Not that it's all glamour for the stylist. Bernard Portelli, who briefly styled Hillary Clinton's bob back in 1993, recalled working in a simple room in the White House with a shampoo basin, two chairs and plenty of outlets for blow dryers and flat irons. He's not necessarily eager to go back. "You have all kind of last-minute phone calls, which is extremely hard for someone who has a large clientele in a salon to drop everything and go," said 57-year-old Portelli, who owns Georgetown's Okyo Salon. Still, if Obama's hairstyles dazzle the public, having her as a client would be a public relations coup for any salon. Nuri Yurt of Georgetown's Toka Salon attracted attention after he began styling Laura Bush's hair in 2005. Earlier this year, Vogue magazine called him one of the country's best colorists for brunettes. "It's permanent advertising, if you will, for the salon," Portelli said. From the stylists' perspective, Obama doesn't need much help -- they describe her hair as classic in style, healthy and free-spirited. For election night, Michael "Rahni" Flowers of Van Cleef Hair Studio in Chicago -- Obama's stylist since she was 18 -- did her hair. And for the Democratic National Convention, Obama turned to Chicago-native Johnny Wright of Frederic Fekkai's Los Angeles salon. If an out-of-towner gets the assignment, it would disappoint locals like Cober-Blake, lawyer-turned-owner of D.C.'s Soul Day Spa and Salon. The 37-year-old said she's excited about the possibility of having Obama experience the services at Soul, where she said they "treat everyone like a Michelle Obama." Harley, of Keith Harley Hair & Scalp Clinic in Arlington, Va., submitted his resume a month ago. "It would be the highlight of my career," said 39-year-old Harley, who styles such high-profile Washington women as Debra Lee, chief executive of Black Entertainment Television. "It would be an honor." And like her fashion, Obama's hairstyles probably will be scrutinized, as has happened with other first ladies. "The thing about being the first lady, you're only as fashionable as your last picture," said Dennis Roche, 58, of D.C.'s Roche Salon, which has African-American-hair experts he said could style Obama. "This is kind of risky because of the fact that we all have bad hair days."